As posted by SamMobile, firmware updates for a lot of Galaxy devices have been released by Samsung. One of them is the Samsung Galaxy Grand Prime VE that just received the Android 5.1.1 Lollipop firmware. 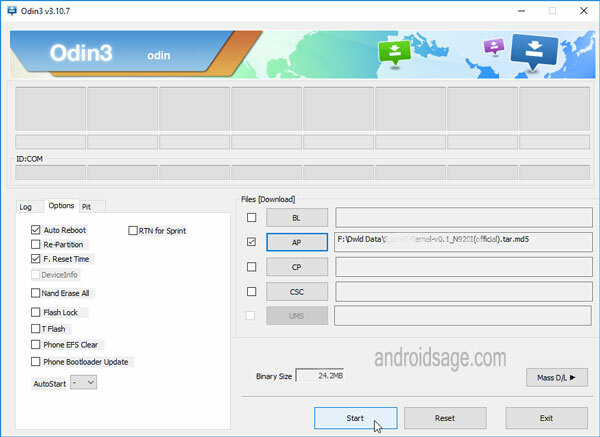 Here we are with the tutorial to update Galaxy Grand Prime VE to Latest Android 5.1.1 Lollipop G531FDDU1AOL1 Firmware. Although there is no word from the manufacturer as to when these Galaxy devices shall receive Marshmallow update, the listed firmware is a great deal for those who want to revert back to stock and grab the latest OTA updates as soon at it hits the device. A new OL2 update rolled out recently for the Samsung Galaxy Grand Prime VE SM-G531F which will take the device to Android 5.1.1 lollipop. The firmware update version G531FDDU1AOL1 brings several security patches and bug fixes. If you want to update or revert back to stock, this tutorial will help you with it. However, before you proceed, it is highly recommended that you backup everything from Apps, Data, Media etc. It will perform a clean firmware flash via Odin and get you a brand new ROM. Warning: Although going through this procedure should not cause harm any damage to your device, it remains an unofficial process and you should be cautious about it. We won’t be liable for any damages or a broken device. Reader’s discretion is advised. 1. Verify your device for compatibility. The listed firmware is compatible with GALAXY Grand Prime VE SM-G531F variant. Step 3: If you already have Odin software on your PC then simply run the Odin3_3.10.7.exe file. If not, then download the Odin3.zip file from download section and extract it. Run Odin software as administrator. Step 5: After a successful connection, the ID:COM in the Odin should turn Blue and an Added!! message should be displayed in the Log tab. In case your device doesn’t show up in Odin, then you can troubleshoot it with the steps given at the end of the tutorial. Step 7: Take care that only Auto Reboot and F.Reset Time are selected in Options tab. Do not check Re-Partition. If you come across bootloop or your Samsung Galaxy device is stuck at the boot logo then factory reset your device from the recovery. To do so, turn of your device (also remove battery if applicable and put it back again) and reboot into recovery mode by press and holding Power + Volume down + Home keys for a few seconds. From the Recovery, select Wipe Data / Factory Reset. Confirm the action and reboot once done. Your device should now boot up.